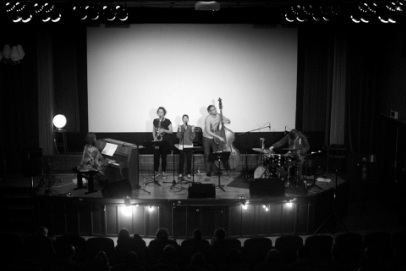 ”Johan Moir Ensemble” plays original compositions that draw on influences from European jazz and improvisational music. This said, they are not afraid of mixing the old with the new to find fresh and interesting group sounds that venture into otherwise uncharted territory. Their compositions are based on strong melodies, challenging harmonies, changing dynamics and clear contrasts. The groups’ interactive and intuitive approach allows them to play unhindered and to collectively interpret the essence of a piece. The group recorded its debut album in November 2014 at Epidemin Studios, which was digitally released in October 2015 and released on limited vinyl April 2016. SVELIA celebrated the release of their debut album 'Live @ Alchemia' with a tour in Australia in January as well as recorded their first Studio Album at SingSing Studios in Melbourne, which was released in May 2015 and celebrated with an European tour as well as an Australian tour in December 2015.